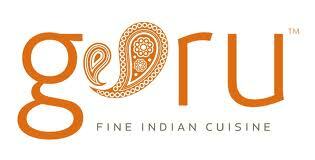 Guru Fine Indian Cuisine is located in West Edmonton and it is a unique fine dine restaurant serving quality Indian cuisine, either if it is a express lunch, private dining, catering or Take out - Guru has your fine Indian Cuisine. My folks asked me to pick somewhere to go for a birthday dinner and since I have always driven by this Fine restaurant, I always needed to try it so therefore I had got my chance. I love trying new things, keeps the mind wide open for new opportunities. Very exclusive times that the restaurant is open at - but well worth the experience if you are not worried about money. Because this is not a cheap restaurant, you will have to pay beyond your normal restaurant bill to experience Guru's Fine Indian Cuisine. But as I say, you only live once and when the opportunities arise can't shy away, you have to jump aboard with two feet and enjoy the ride. There is so many yummy new exciting meals to try on their menu, as it may look a little overwhelming because you have not been there before and you are not to sure what to try first - but do not let that overwhelm you. Especially if you go with a group of friends, an idea is that each one orders something different and that way you can sample more than one dish. Appetizers - Guru butter Chicken Samosa, Chicken Pakora, Shrimp Pakora, Pepper Calamari and Chilly Chicken. All you Vegetarian's out there do not worry you can still enjoy this Fine Indian cuisine because they do have vegetarian selections along with soups and salads. So therefore you can choose from their Indian Entrees or vegetarian Entrees. The meals do not come with rice, you have to order that separate - Coconut rice was my favorite.